Twenty-five years after the community and municipality built the ‘Parque Sur 23’ sport court in Xico, 400 residents of all ages, community leaders and international visitors gathered there today to witness and celebrate the revitalization of the site into a dynamic new safe place for young people to play, grow and learn life skills through sport. The new Parque Sur 23 is the first project of love.fútbol, an award winning non-profit focused on community development through sports, in partnership with the Pincus Family Foundation, a charitable institution dedicated to improving the quality of life for children living in underserved populations. Together with local partner Natlik A.C. and hundreds of adult and youth community volunteers, the site was completely transformed over three months with volunteers donating nearly 1200 hours of their time. Community members contributed their talents, ideas, labor and local resources, serving as partners from step one of the process. “This is for everyone, our children, our grandchildren. We know that it will last, it's for life,” said Brenda Meza, a Valle de Chalco native who hopes to see her 11-year-old son playing on the court again. As the oldest and most populated neighborhood in Valle de Chalco, and in a region of great cultural importance, 28% of the population are children or youth. Safe public spaces are severely lacking and unemployment, reduced educational opportunities and crime are daily obstacles. Once a popular community gathering space, the court had fallen into severe disrepair due to neglect, vandalism, destabilizing geological activity and socio-economic issues. "The Pincus Family Foundation is dedicated to the well-being of children around the world. We are excited to join with love.fútbol, the local community and Natlik as we lend our support to the revitalization of this site with the Valle de Chalco community. 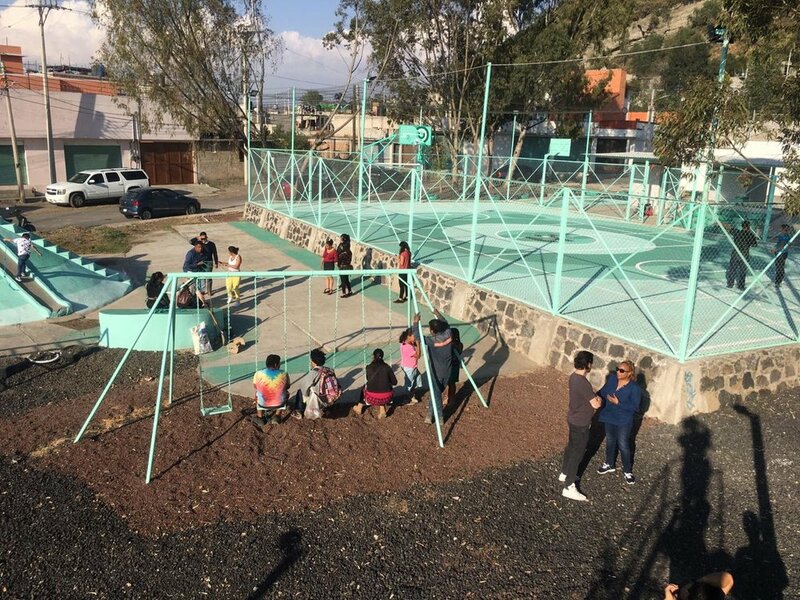 It is our hope that Parque Sur 23 will be a place that represents the pride of Xico as it provides a safe place for children and youth to play and grow for many years to come," said Danielle Scott, Executive Director of the Pincus Family Foundation. 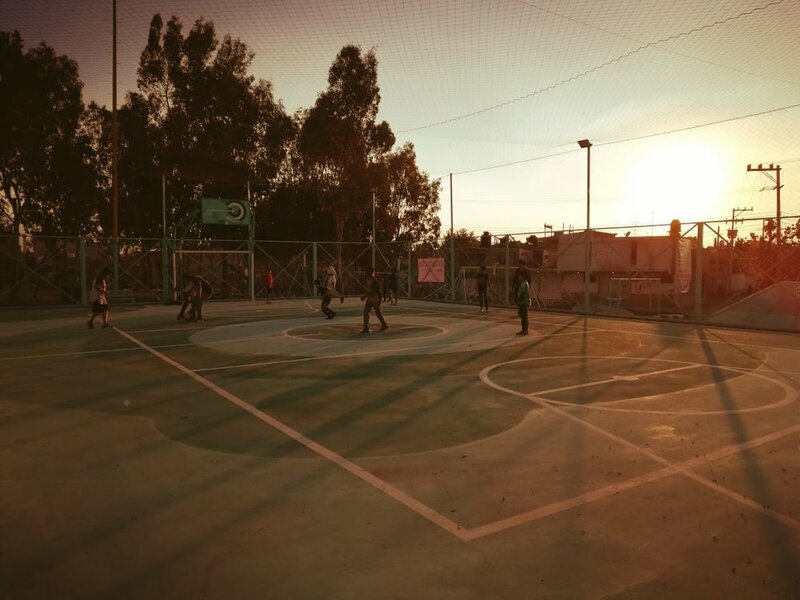 The project is the latest in love.fútbol’s campaign to harness the “passion and power of the world's most popular game” to drive long-term youth and community development. Added project volunteer, Osvaldo Olivan Torres, "A friend told me about the project and invited me to take part on it. I hope that people start to move, to practice exercises, to think differently. I believe the results will be good, because we'll have many more children practicing soccer and other sports and activities." Following two projects in Philadelphia, Pennsylvania in the U.S. later this year, the Pincus Family Foundation and love.fútbol will also be building two safe spaces in the Dominican Republic in 2020. Altogether, the partnership will result in five community sports spaces for vulnerable youth made possible by a $1,135,000 grant from the Foundation.